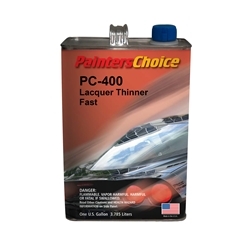 PC-400 Lacquer Thinner is a general purpose, fast drying lacquer thinner. This product is used for thinning lacquer primer when fast dry times are required. PC-400 offers ideal flow and fast flash times when used in temperatures of 60-70 Fahrenheit.